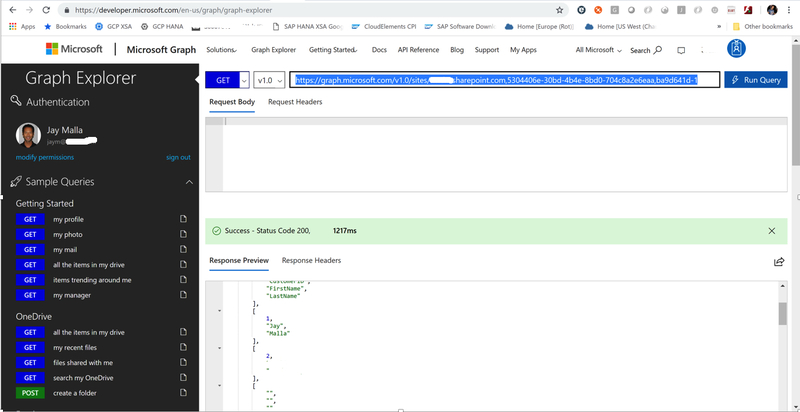 I would like to show how to read data from Microsoft Office 365 using Microsoft Graph API and NodeJS and then write this data into SAP HANA XSA tables. Our scenario requirement was to pull data from Excel files on Sharepoint on Microsoft Office 365 and write this data to SAP HANA XSA container tables. We wanted to use the SAP HANA File Adapter which has a section for Sharepoint Configuration. However, the Excel adapter as of HANA 2.0 SPS 3 can only connect to Sharepoint 2013 on premise systems and not Sharepoint on the Microsoft Office 365 Cloud. So we had to come up with an approach to address this requirement and develop it. 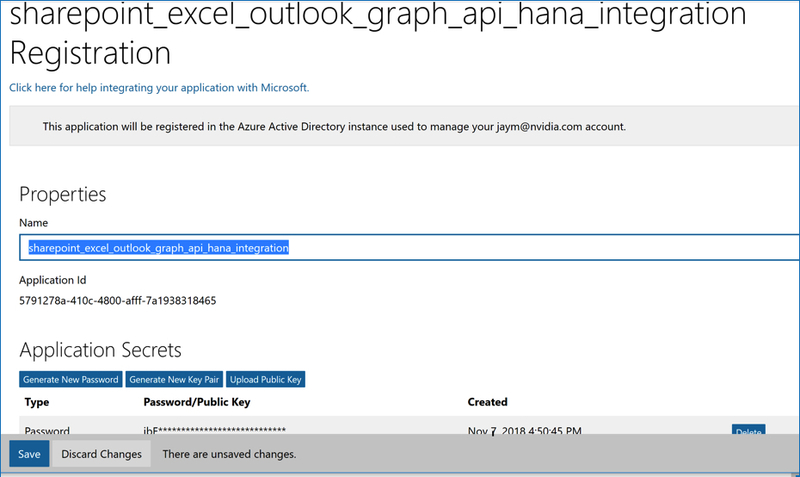 This Blog describes the approach which will hopefully help other folks needing to accomplish this type of scenarios for integrating Microsoft Office 365 data with SAP HANA XSA . 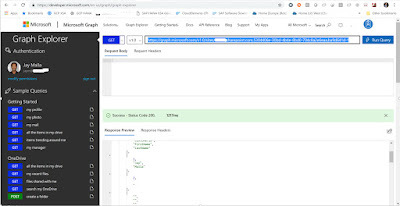 There will be another Blog that describes how to trigger our custom developed NodeJS application from a virtual procedure through the file adapter through SAP HANA Smart Data Integration (SDI) layer. 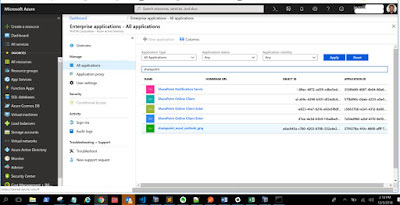 Now in order to call this API, we need to register this application on the Azure portal. 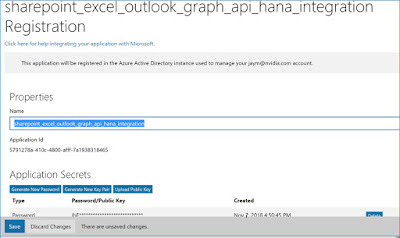 In our case, we have named this sharepoint_excel_outlook_graph_api_hana_integration – the name could have been shorter but we wanted to have it be self descriptive enough since there were many other applications for the company. In order for the service to be called with an OAuth token with just the application id and secret, we need to apply for admin consent by the Azure admin which will allow permissions for the application to be triggered in background mode. So once we have the necessary setup done to read the data from Sharepoint, we will write the application using NodeJS. // if the end of Array reached.. So once we have the NodeJS program that we can invoke from the command line to read the data from Sharepoint and write the data into HANA, we need HANA to trigger this on demand dynamically. So here is where HANA has this nice feature of a Virtual procedure using the file adapter that allows us to call our NodeJS program from the command line with dynamic parameters. These details will be in another Blog to follow which will be available very soon.